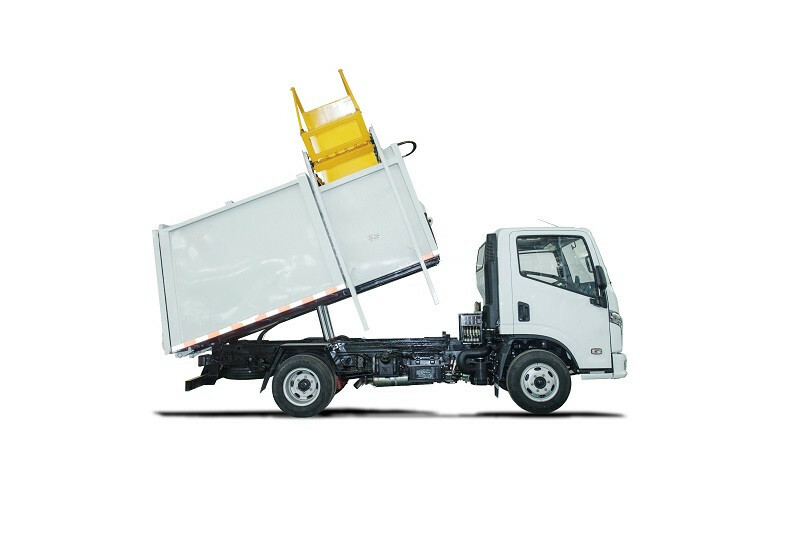 Side loading garbage truck ,Adopts integrated mechanization,electrification and hydrofication's technology and use agencies, electrical, hydraulic combined automatic control system. Through the rollover bucket's elevator,full hermetic dustbin and hydraulic compressor to accomplish rubbish's collection,compression and dumping. 1, High compression ratio and heavy load. Shovel compression system with 3 section hydraulic cylinders is installed inside tank, which can compact garbage inside to load more. Automatic or semi-automatic operation model can be chose by workers. 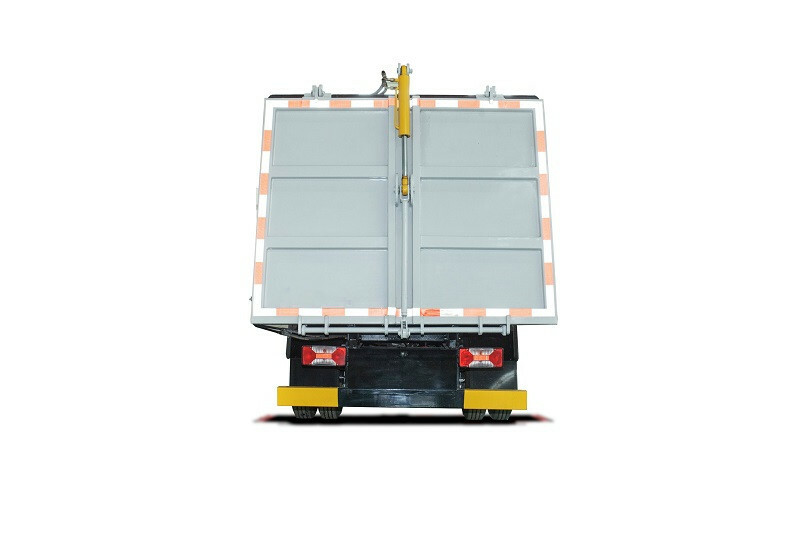 The whole loading and discharging process can be operated by driver only since there is computer control system. Manual operation system can also finish the whole process even the computer control system fails. Which highly raise the utilization rate of truck? The whole tank is of all sealed type. All dirty water during the loading, compaction and discharging process flows into sewage tank at last. No leakage or secondary pollution during transportation will happen. Type: Diesel, 4-cylinder, in line, water cooled, direct injection, turbocharged, intercooler,high pressure and common rail.